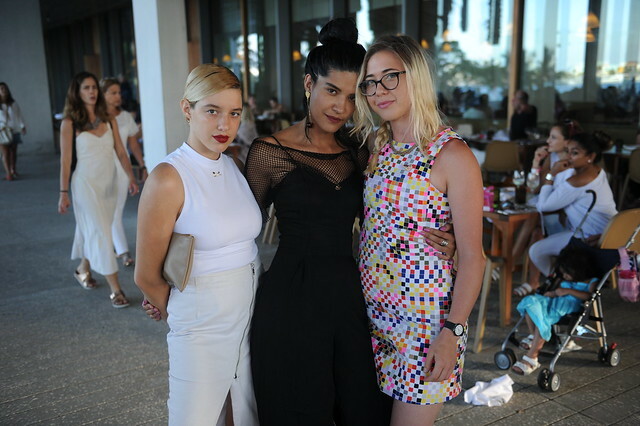 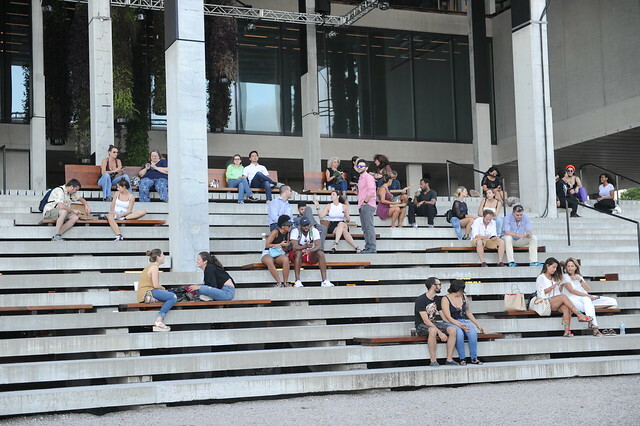 On July 6, 2017, PAMM hosted another installment of its monthly Free Community Night. 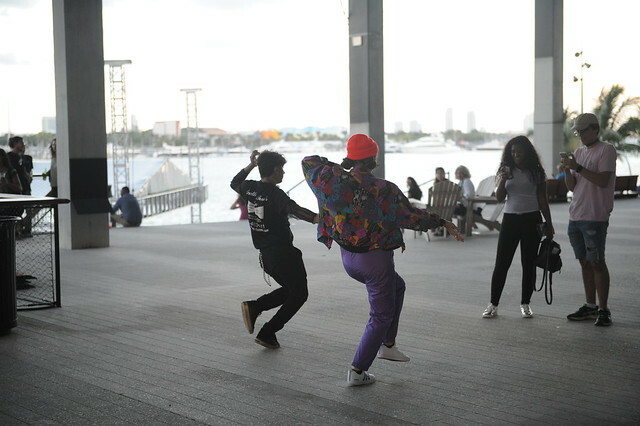 This month, PAMM collaborated with Miami Music Club to present two highly-charged performances by RRLEW and CUBE. 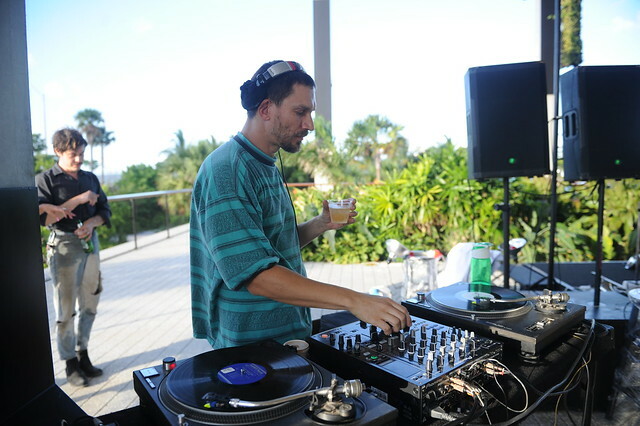 Romulo Del Castillo, founder of the legendary Schematic Music Company, started the night off with a DJ set on PAMM’s terrace. 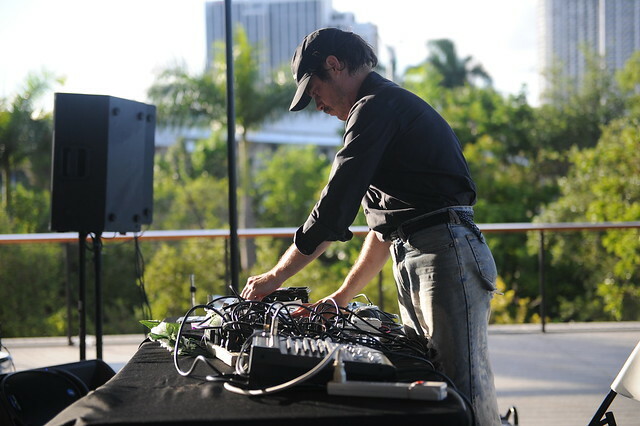 Afterwards, CUBE took over the night, fusing disparate genres, from industrial to techno to noise to create crunchy ear-worms for the entire crowd. 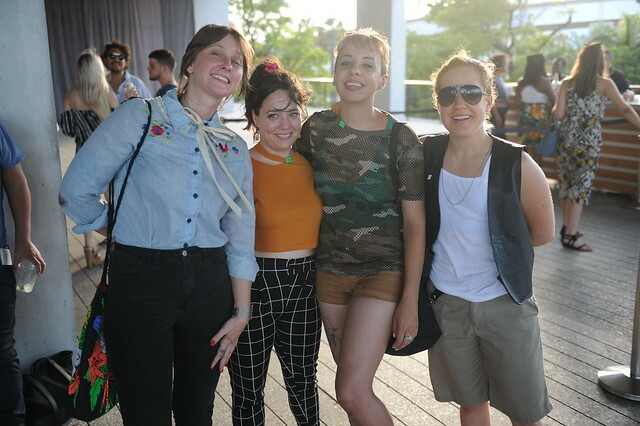 The evening culminated with a performance from RRLEW, who presented a richly-textured, lesbian-utopian opera that explored issues, figures, and tropes through technology, props, and sound. 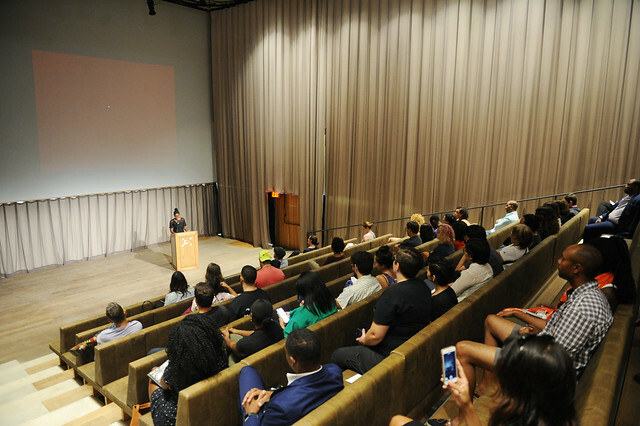 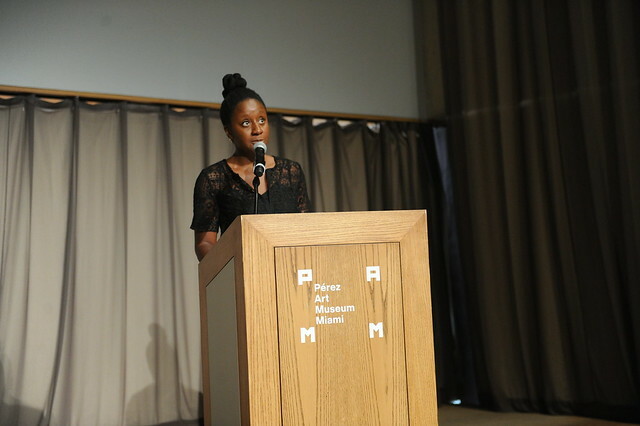 Inside the museum, the Summer Film Series: Black Audio Film Collective at PAMM kicked off with a screening of Handsworth Songs by the artist John Akomfrah, whose work is currently on view at PAMM.